Nico Rosberg was on the pace for Mercedes right from the start of this second week of testing, as the team put on the soft tyres for the first time. 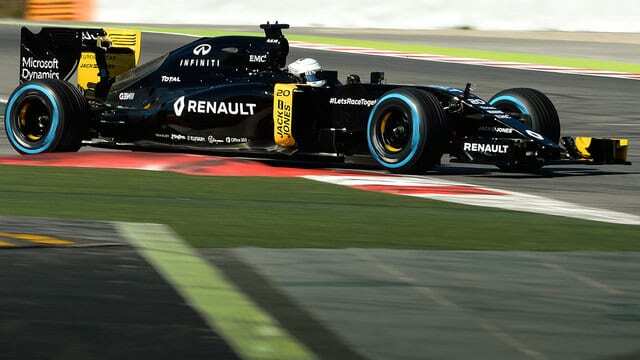 Rosberg set the fastest lap before lunch and then handed over the car to Lewis Hamilton, who set about working on a long run programme instead. Last week's pacesetters Ferrari finished the day in fourth place, with Kimi Räikkönen causing a red flag shortly after lunch. Fernando Alonso had better pace for McLaren, but also stopped the session when his car drew to a halt at the pit exit, reportedly due to a telemetry glitch. Rio Haryanto was kept in the garage for most of the morning due to an oil leak, but he was able to complete 14 laps overall. Red Bull suffered a small fire on the brakes, whilst Kevin Magnussen caused a red flag right at the end of the session after his Renault stopped out on track. That was after a rock solid 119 laps though. We were able to work on both front and rear suspension set up as well as aero data logging which will give us further direction for the remainder of the test. All of today’s programme has been completed so there is a satisfying amount of data to process ahead of tomorrow. 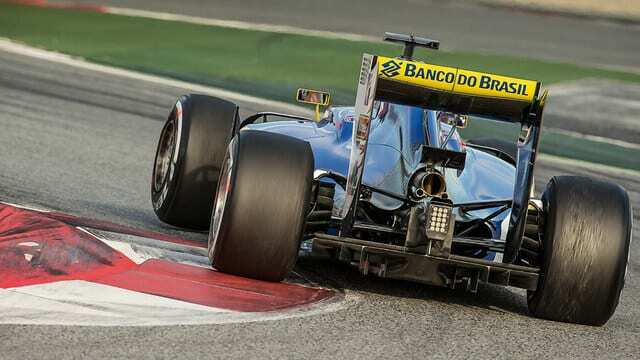 Sauber revealed their new car for the 2016 season today and it proved to be reliable from the outset. Felipe Nasr completed more than 100 laps to round up a good day's work. 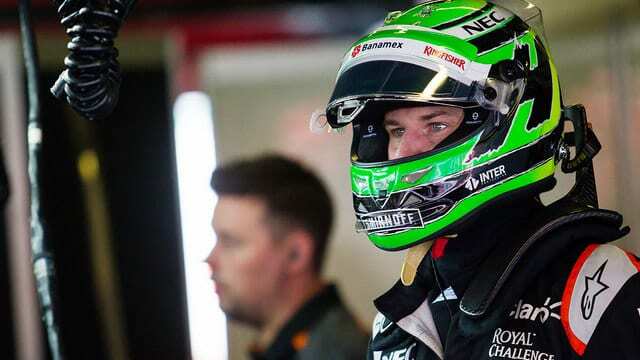 Haas, on the other hand, suffered reliability troubles that saw Esteban Gutiérrez stuck in the garage, managing only 23 laps by day's end. We seem to have seen more mechanical niggles out there at the start of this second week, perhaps because the testing programmes are pushing the cars a little bit more, or teams are trying new things. Toro Rosso revealed their 2016 livery today, with a marked lack of sponsors - but the car completed 144 laps so Verstappen had very little to complain about. Testing doesn't only happen in Barcelona - the effort of everyone at HQ is crucial to our season! Lunchtime programme for the R.S.16 included changing some bits and finessing some bits. Just about ready now. Teams will be back at the track tomorrow for another day of testing. Mercedes intend to keep alternating their drivers morning and afternoon for the rest of the week, whilst many other drivers will get their first taste of the action tomorrow. Sebastian Vettel is in at Ferrari, Daniel Ricciardo at Red Bull and Sergio Pérez takes over at Force India. 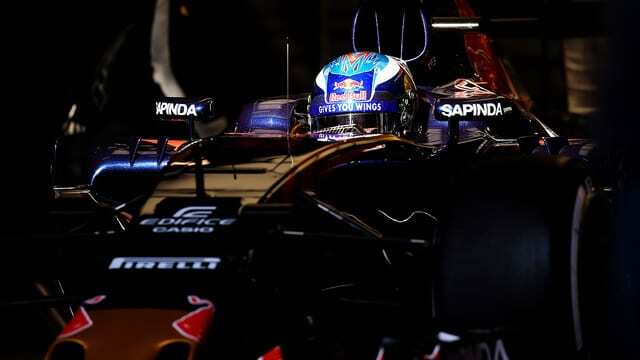 Sainz, Ericsson and Button will all be behind the wheel as well.